I made this last night to take for lunches this week. It was very easy to make; a semi-homemade dish, if you will. 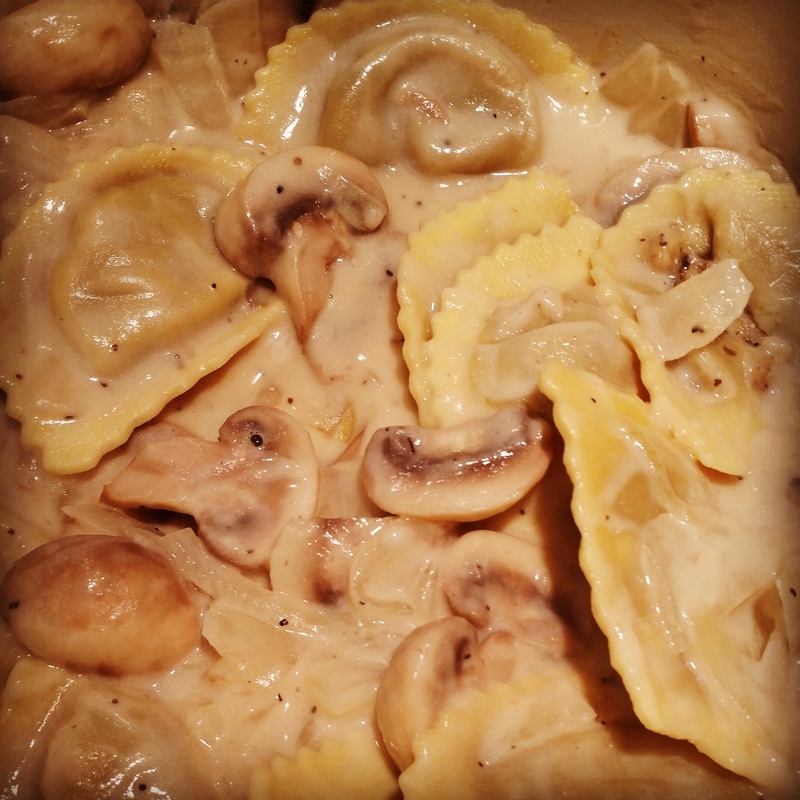 Ravioli was Buitoni, alfredo sauce was jarred by Classico and added caramelized onions, mushrooms, and white wine. Pretty simple, ya’ll…Slice 1 onion nice and thin. Slice your mushrooms in half or thirds- larger sized chucks. Reduced them down in 3 tablespoons of butter. Make sure to salt and pepper your veggies. Stir and cook down for about 10-15 minutes. Add in your white wine at the end, stir, and reduce down about 5 more minutes. Add the jar of sauce. Meanwhile, cook the pasta according to the directions on the package. Add the cooked ravioli to the sauce and mix well. Top with parmesan. So good!